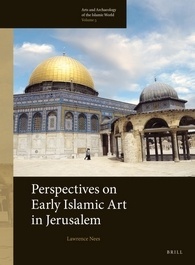 Almost every month a new book on Jerusalem and its long history is published, but Lawrence Nees’s Perspectives on Early Islamic Art in Jerusalem stands out among the other volumes. 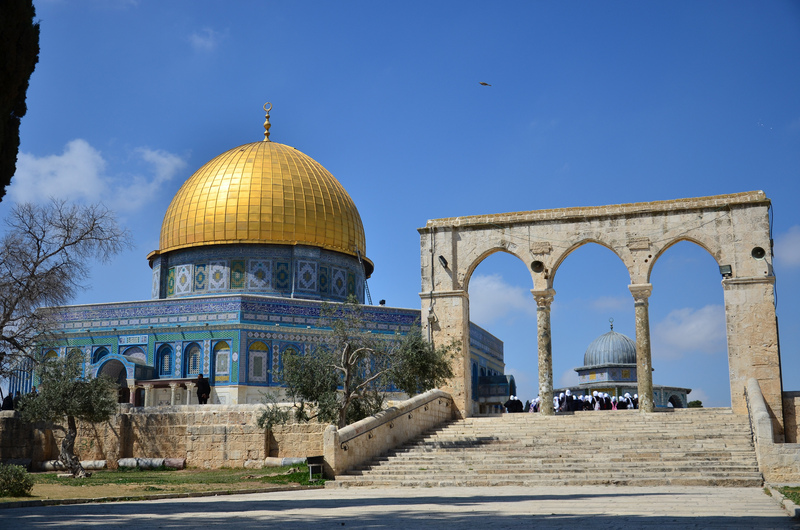 This newly published volume, edited by Brill, focuses on one particular area of the city and on one particular part of its history: the Haram al-Sharif, or Temple Mount, in the seventh century. It may seem a quite narrow subject, but the new approach Nees uses to describe the history of the Holy City makes the book and its subject much wider. Lawrence Nees, professor of Medieval Art at the University of Delaware, primarily studies the art of the Early Middle Ages, focusing in particular on north-western Europe. In his research he has also considered the Mediterranean area, the Byzantine world and the artistic tradition of early Islam. This academic background cannot but heavily contribute to his new and challenging description and analysis of the Haram al-Sharif and the history of Jerusalem. In the author’s words: “Sometimes distance can bring into focus what is difficult to see standing very close, and my perspective is at least a different, and perhaps a fresh one”. Challenging a decades-long scholarly tradition of a subject as important as the Haram al-Sharif must be regarded as a great step towards a full understanding of the subject itself. The elements of originality are not confined only to the approach but also reach the monuments and objects considered in the volume. 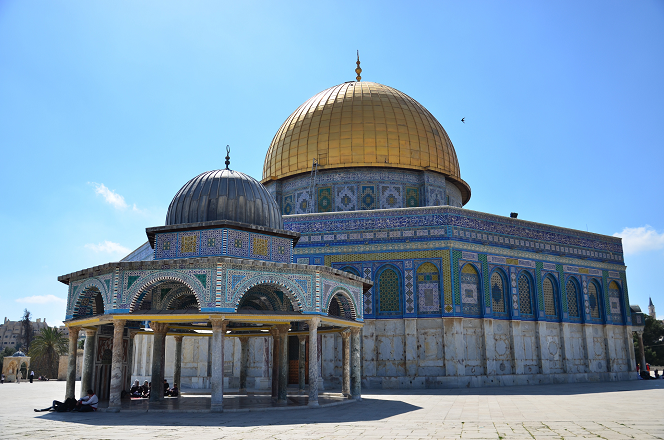 The author does not focus only on those well-known monuments of the Haram al-Sharif, such as the Dome of the Rock and the al-’Aqsa Mosque, but he also takes into consideration, for instance, a long neglected monument such as the Dome of the Chain, which has remained hitherto almost unstudied. It is not, as the author admits, a comprehensive study of Jerusalem, and probably the reader should already be acquainted with the history and main features of the Holy City, in particular of the Haram al-Sharif. Nevertheless, even for someone who has just a superficial understanding on the subject, the unusual point of view the author proposes can help any further analysis or study. 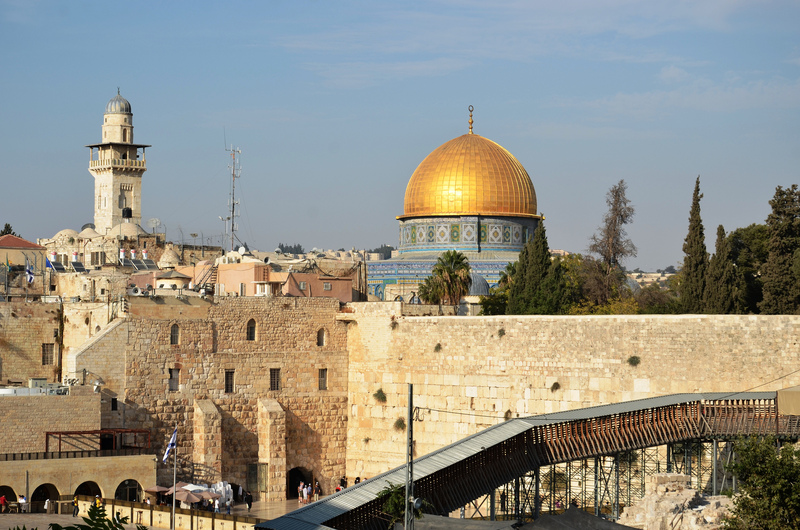 Jerusalem, the Holy City, is renowned for its internal divisions, the major one being religious, between Jewish, Christian and Muslim communities. They are taken, almost without exceptions, as monolithic entities, without noting any difference in their division between “yesterday” and “today”. Nees challenges this particular tendency: we cannot explain the Haram al-Sharif of the seventh century if we still combine that history with that of the eighth century. If there is a division between the three communities now, or in later centuries, we cannot assume a priori that the division has always existed and that it also existed in the seventh century. The social borders are thus challenged, and the same is valid for iconography and history in general. “Archaeological evidence suggests significant continuity and overlap, across a Late Antiquity/Early Muslim border that may be more a feature of modern scholarly divisions than of the situation on the ground in the past”. The volume is thus not simply a book on the early Islamic art history of Jerusalem: its challenging perspective gives the reader a new interpretation of the past and of the early stages of Islamic rule over Jerusalem and teaches us how to interpret history setting aside modern concepts. By reading this book introduces us to a period when the borders that today we consider natural and essential and inevitable were actually not.